Sivasankaran (“Soma”) Somasundaram serves as Apergy’s President and CEO, and also as a member of its Board of Directors. Soma most recently served as a Vice President of Dover Corporation and as President and CEO of Dover Energy since 2013. Previously, he served as Executive Vice President of Dover Energy, Executive Vice President of Dover Fluid Management, President of Dover’s Fluid Solutions Platform, President of Dover’s Gas Equipment Group, and President of Dover’s RPA Process Technologies. Prior to joining Dover in 2004, Soma served in various global leadership roles at GL&V Inc. and Baker Hughes Inc. Soma received a B.S. in Mechanical Engineering from Anna University and a M.S. in Industrial Engineering from the University of Oklahoma. 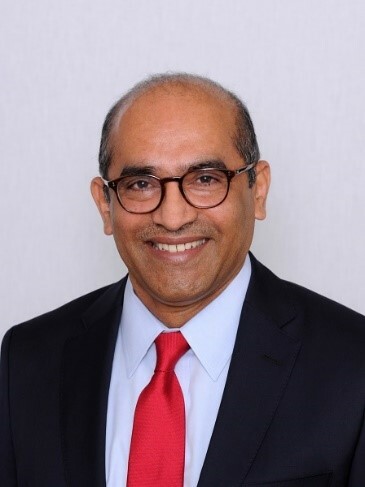 Sundaram Nagarajan is Executive Vice President of Illinois Tool Works Inc. (ITW), a Fortune 200 global diversified industrial manufacturer of value-added consumables and specialty equipment with related service businesses. The Company focuses on solid growth and strong returns across its worldwide platforms and businesses. These businesses serve local customers and markets around the globe, with a significant presence in developed as well as emerging markets. The company has operations in 58 countries that employ approximately 60,000 women and men who adhere to the highest ethical standards. These talented individuals, many of whom have specialized engineering or scientific expertise, contribute to our global leadership in innovation. Sundaram Nagarajan is currently the Executive Vice President –Welding Group. Mr. Nagarajan has worldwide responsibility for ITW’s Welding and Cutting businesses. Mr. Nagarajan originally joined Hobart Brothers in 1991. After various roles of increasing responsibility in Engineering and General Management at Hobart Brothers, Mr. Nagarajan was promoted to Group Vice President, Welding Group in 2006 and Group President, Welding International in 2008. MS and Ph.D. from Auburn University, Alabama. Former Board of Trustees, AWS Foundation, Inc, Co-Chair of ITW’s National United Way Campaign (2013 and 2014), member of the Chicago Economic Club, Executive Club of Chicago and American Welding Society (AWS). Since joining Morningstar in 1997 as a data analyst, Kapoor has held a variety of roles at the firm, including leadership positions in research and innovation. 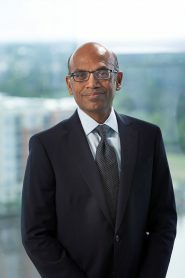 He served as director of mutual fund research and was part of the team that launched Morningstar Investment Services, Inc., before moving on to other roles including director of business strategy for international operations, and later, president and chief investment officer of Morningstar Investment Services. 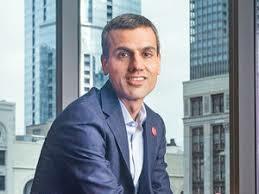 During his tenure, he has also led Morningstar.com® and the firm’s data business as well as its global products and client solutions group. Best became the CHRO upon close of the Exelon-Constellation merger in March 2012. She is responsible for developing, organizing, implementing, directing and evaluating Exelon’s HR function and performance. She participates in the development and implementation of Exelon’s plans and programs as a strategic member of the executive team. Best led post-merger integration work, including staffing and selection of 25 percent of Exelon positions, development of the employee benefit platform, total compensation program alignment, and integration of diversity, talent management and succession processes. Prior to this role, Best was the vice president of human resources for Exelon Generation, which includes the nuclear fleet, power operations, and power trading. She was responsible for setting the human resources strategy and service delivery for 9,500 employees as a member of the senior leadership team. This includes employee relations, compensation, talent development and retention, recruitment, pipeline development, demographic analysis, and knowledge transfer and retention. She has worked as a lead on prior merger, integration and new business activities. She also was involved with the Nuclear Energy Institute working groups and the Clean and Safe Energy Coalition’s minority business steering committee. Previously, Best was the director of human resources for Exelon Business Services Company and led the HR function to support the finance, IT, supply and legal groups. She also was the director of leadership development for Exelon. In that position, she was responsible for executive development for the company’s top leadership positions, as well as design and delivery of programmatic leadership training across the company. She was also accountable for the design and governance of talent management processes that are implemented in all Exelon operating business units. Best has worked in varying human resources capacities at Exelon’s Quad Cities Station, Dresden Station, nuclear headquarters, and corporate offices. Prior to Exelon, she worked at Sara Lee Corporation and Ravenswood Hospital while pursuing her master’s degree. . Throughout his career, Veeramasuneni has been involved in innovation strategy, talent management, change management, technology road mapping and process improvements. Veeramasuneni has an extensive background in surface science and related application areas, including crystallization, mineral processing, and building materials. He published nearly 25 papers in surface science related journals. Veeramasuneni is active in external organizations and has held executive positions in ASTM committees, Industrial Minerals Division of SME, and Innovation Research Interchange (IRI). He is currently serving as a Board Member of LUMITY and Illinois Science & Technology Coalition (ISTC). USG Corporation is an industry leading manufacturer of building products and innovative solutions. Headquartered in Chicago, USG serves construction markets around the world through its United States Gypsum Company and USG Interiors, LLC subsidiaries and its international subsidiaries, including its USG Boral Building Products joint venture. Its wall, ceiling, flooring, sheathing and roofing products provide the solutions that enable customers to build the outstanding spaces where people live, work and play. Its USG Boral Building Products joint venture is a leading plasterboard and ceilings producer across Asia, Australasia and the Middle East. For additional information, visit www.usg.com. SVP & Chief Human Resources Officer at W.W. Grainger, Inc.
Kathleen Carroll was named Senior Vice President and Chief Human Resources Officer (CHRO) in December 2018. Her responsibilities include aligning and implementing talent and workplace strategies across the enterprise that support a high-performance culture and strengthen the company’s brand as an employer of choice. Kathleen has more than 25 years of experience in leading human resources and organizational strategies to drive business results. Her expertise encompasses end-toend talent acquisition, learning and development, employment branding, succession planning, compensation and benefits, diversity and inclusion, and related metrics and analytics. 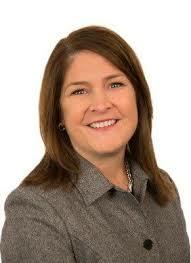 Prior to Grainger Kathleen was with First Midwest Bank, where she served as Executive Vice President and CHRO. Prior to that, she held a number of leadership positions with Aon Corporation, which included Global Head of Talent Acquisition and HR Lead for Mergers and Acquisitions. Kathleen also had management positions with Sprint and PricewaterhouseCoopers, where she began her career in consulting and accounting. Kathleen earned a bachelor’s degree in accounting from the University of Missouri and received a master’s degree in business administration from Northwestern University’s Kellogg School of Management. She also is a board member of Leadership Greater Chicago and the International Women’s Forum Leadership Foundation. W.W. Grainger, Inc., with 2018 sales of $11.2 billion, is North America's leading broad line supplier of maintenance, repair and operating products (MRO), with operations also in Europe, Asia and Latin America. For more information about the company, visit www.grainger.com/investor. Milton G. Silva-Craig has been the Chief Executive Officer of Q-Centrix for the past five years, recently leading the company through a successful sale from private equity firm Sterling Partners to TPG Growth. With more than 25 years of experience in the healthcare information technology industry, Silva-Craig has demonstrated success in leading and growing healthcare businesses. Prior to Q-Centrix, he served as president of TransUnion’s healthcare business unit. There, he developed and executed a strategic business plan focused on repositioning and growing TransUnion in the healthcare marketplace. His work resulted in an eight-fold increase in the business unit. Prior to TransUnion, Silva-Craig served as the President and Chief Operating Officer at Emageon Inc., leading the company’s strategic direction and operations. He grew revenues from several hundred thousand dollars to more than $100 million, and eventually led Emageon through its initial public offering. He was also president and CEO of Technology Solutions Company and held executive positions at General Electric Medical Systems. Silva-Craig earned a J.D. from the University of Wisconsin School of Law in Madison and obtained his M.B.A. and B.A. from the University of Wisconsin – Madison. Corporate VP, Human Resources & Chief Administrative Office Operations. Karen Dunning is corporate vice president, Human Resources and Chief Administrative Office Operations at Motorola Solutions. She leads the entire HR team and has improved hiring and employee support and standardized reporting while reducing costs. She leads financial management, business operations and systems solutions for the CAO, where she uses data-driven analytics to reduce costs, improve processes and manage change. 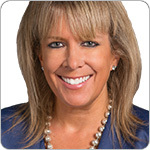 Karen joined Motorola at our Plantation, Florida facility in 1985. For two decades, she worked in the LMR, Paging and Cellular business units – forecasting product shipments, defining products, mapping out strategies, managing an engineering team and leading operations. She spent a year in Fort Worth, Texas with the Cellular Subscriber unit before returning to Paging, where she was vice president, Strategy &amp; Business Planning for North American Paging. When that sector shut down, Karen transitioned to the labs and law department, working on technology licensing. Under Karen’s leadership, Motorola Solutions has received numerous awards for legal and human resources excellence. In 2016, the legal department MSI legal won Best USA Legal Department: Industrial &amp; High Tech Sector at the International Legal Alliance Summit &amp; Awards in New York City. Karen is also a recognized thought leader in the legal industry with numerous published articles. Sumit is a partner in McKinsey’s Midwest office, having joined the firm in 2000. He leads our work in supply chain and logistics and is a leader in our Operations Practice in North America. 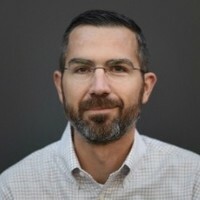 He has led engagements on strategy, comprehensive operations turnarounds, and supply chain transformations across multiple industries, including manufacturing, technology, and telecommunications. 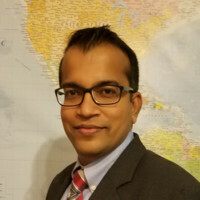 Sumit’s recent experience includes a comprehensive performance transformation for a chemicals player, including strengthening global sourcing, manufacturing and sales; logistics cost transformation for a commodity chemicals client and leading an end-to-end supply chain transformation for an auto component provider. He has also led large-scale operational transformations and turnarounds for telecommunications and technology clients. He helped revamp the key accounts go-to-market engine for a business-to-business technology provider. Prior to McKinsey, Sumit worked as a project manager at Infosys. Jay Kloosterboer is the Senior Vice President of Human Resources for Dover, having joined the Company in January 2009. As a key member of the Executive Leadership Team, he oversees the company’s worldwide Human Resources and Communications functions, as well as the India Innovation Center for this global diversified industrial manufacturer. Prior to joining Dover, Jay spent nearly six years at AES Corporation, a Fortune 200 Company that generates and distributes electrical power. He last served as the Executive Vice President of Business Excellence at AES. Before joining AES, Jay held a variety of Senior Human Resource roles at Honeywell, Morgan Stanley and GE. Jay serves on the Board of Directors of Chicago Public Media/WBEZ. Prior to the current role Nag served as EVP and CIO of Personal Banking for Danske Bank accountable for Mobile banking, Mobile Pay, Cards processing, security and Advice and Sales functions. The work is executed globally and serves and supports customers in the Nordics and UK. Nag also served senior director with Allstate Insurance Company’s Connected Consumer Engineering team. Vaidyanathan was responsible for leading a global team that engineers and develops an open Application Program Interface (API) platform, websites and mobile applications. Vaidyanathan’s accountability included supporting the Connected Consumer roadmap involving crowd sourcing and technology contests, known as blitzes, with academia and external developers; an evolving, highly strategic, multi-million dollar initiative for the company. Earlier Vaidyanathan was senior director with Product Technology. He was accountable for the completion of the point of sale system catering to more than 15,000 Allstate exclusive agents and their staff, 1,200 independent agents, call centers, and other business units to be able to bind, quote and endorse policies across multiple product lines. Vaidyanathan was also responsible for retiring Allstate’s 30-year-old legacy point of sale system; work that involved more than 600 resources in multiple continents and was completed per plan. Vaidyanathan was the technology organization’s leader in the Allstate Cultural Transformation initiative.. Outside of work, he volunteers for Chicago’s Pratham, a non-profit organization core team involved in helping underprivileged children in India with basic education. Vaidyanathan is on the leadership panel for the Advisory Board of Indo American Community Services (IACS), helping students and entrepreneurs professionally through formal mentoring programs. Vaidyanathan received a bachelor’s degree in electrical engineering and a Master of Technology in India. He also received a Master in Business Administration from DePaul University. Sumit Dangi currently is SVP & CFO, Global Data & Information Management at HSBC. Seasoned well-rounded Strategy, Finance and Operations professional with broad analytical and problem-solving skills and strong track record of delivering outstanding results. 20+ years of global experience spanning Asia, North America and Europe. Experience in leading cross-functional teams, strategic analysis, implementing financial and operational transformation, influencing broad range of stakeholders, communicating with Senior Executives and managing bottom-line impact. Ankur Agrawal is a Founder and CEO of Inhabitr. Inhabitr Furniture is looking to disrupt the Furniture space. Just like Uber makes you wonder should you own a car, Inhabitr aims to make furniture rental so competitive and convenient, that people will not want to own furniture. Inhabitr is a local Chicago based Startup, growing rapidly and looking to build a team of top notch professionals. Prior to McKinsey Ankur worked at Procter and Gamble and Infineon Technologies in a variety of roles, including leading the startup of the first Baby Care Plant for P&G in India. Ankur holds an engineering degree from Jacobs University in Germany. Ankur is married to Pratiksha who is a Prosthodontist in Chicago. bachelor’s degree in psychology from Eastern Illinois University.